Myanmar is one of the most intriguing places in Southeast Asia. 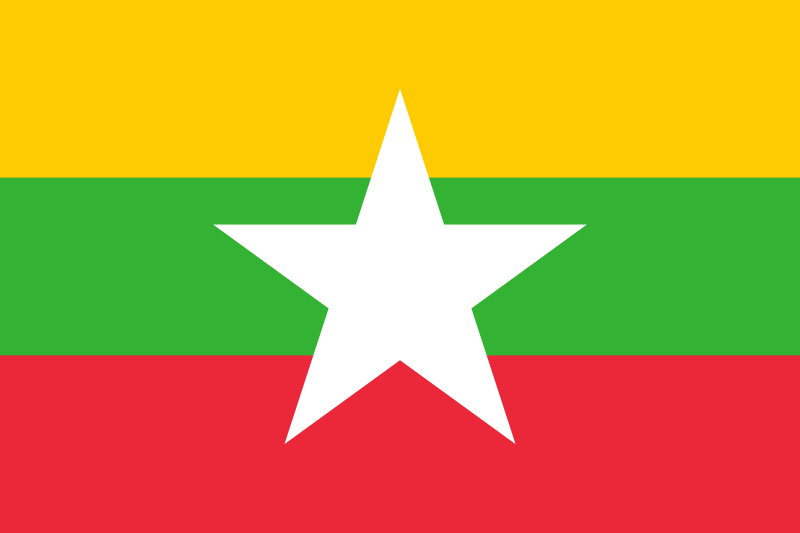 Since gaining independence from the British in 1948, the country formerly known as Burma has undergone a coup d’état, civil war, and systematic human rights violations. Things are changing in Myanmar, though, with democratic reforms and an easing of economic and trade sanctions. With these developments, tourism to this once closed-off and mysterious nation has been slowly growing. Visitors reached the 1 million mark for the first time in 2012, and those numbers are going up noticeably year after year. Those seeking to get there before the crowds may already be too late, but it’s certainly better to go now than wait a few more years. 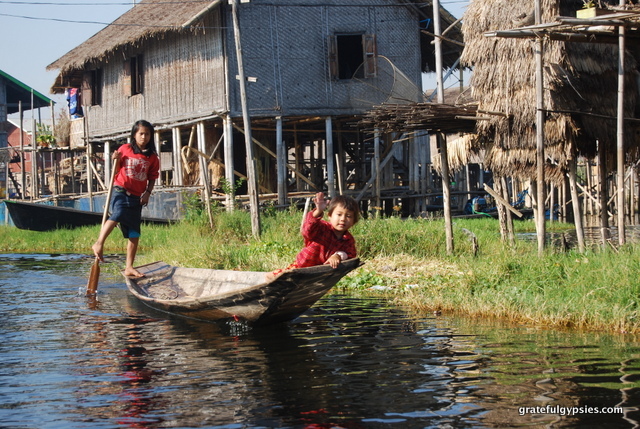 Waving at kids on Inle Lake. After years of dreaming about visiting Myanmar, we finally got the chance during our gap year trip in between two month-long stints in Thailand. In addition to the “Big 4,” we checked out some lovely gardens, took one of the great train journeys of the world, and spent three days trekking to remote villages. Our 3-week trip was just enough to scratch the surface of this fascinating country, and with so much more to see we’re itching to make a return trip there as soon as possible. See what you can do with 3 weeks in Myanmar by checking out this rundown of our trip there. Featuring brief descriptions, photos, and a handful of videos, this will give you a good idea of what your first trip there might be like. They say a picture is worth a thousands words, so a video must be worth a million! Explore this amazing country from the comfort of your computer screen through our Myanmar videos. Get an introduction to the country, learn about its cuisine, and visit some of the most famous places. Traveling in Myanmar is an interesting experience, to say the very least. It’s right next door to Thailand, but feels worlds apart. It’s not the easiest place to visit, but travelers here are rewarded with incredibly beautiful places and very welcoming and friendly people. With a few weeks here, you can hit all the highlights plus a few extra stops. Check back in the future as we add more detailed posts about each destination. Mandalay: Explore a variety of temples and a royal palace in town, then take a day-trip out to a few ancient capitals. Pyin Oo Lwin: Relax in the beautiful botanical gardens and gear up for one of the world’s greatest train journeys. Hsipaw: Do a bit of trekking, cycle to temples, and take part in a Buddhist festival that’s one big party. Inle Lake: Tour the incredible villages and their many workshops, then embark on a 3-day trek to surrounding villages. Bagan: Spend a few days getting lost amongst the thousands of ancient temples and pagodas in this fascinating former kingdom. Yangon: Take in the stunning Schwedagon Pagoda, ride the circle train, and go out for high tea in Myanmar’s former capital.